Today (Monday 29th June) we all gathered in Room 2 to do a special science experiment! Mrs de Koning brought to school the things we needed. First we read the Learning Intentions from the ActivBoard. Bowls, milk, food colouring and dish wash liquid. 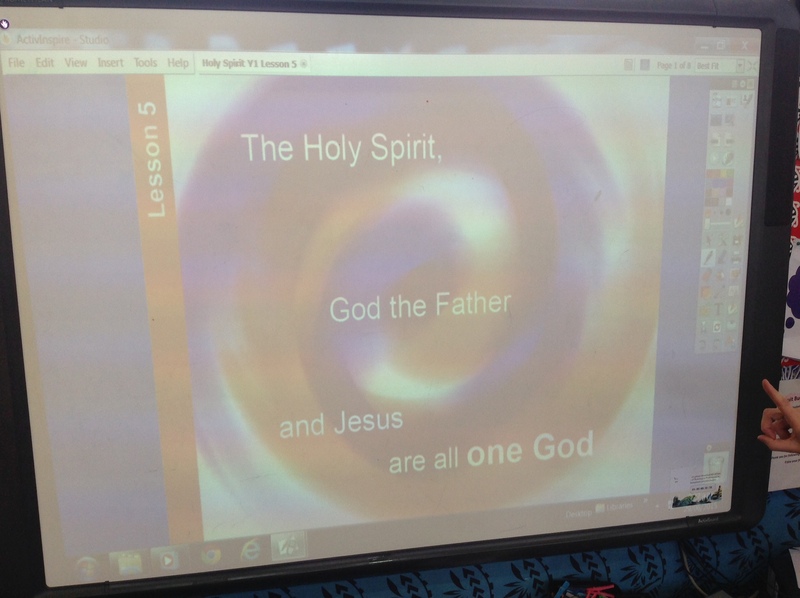 Next Mrs de Koning followed the instructions on the Digital Resource Flip Chart. She poured in several drops of the 3 food colourings. Red, blue and yellow. Drip, drip, drop! Then some dish wash liquid was added to the centre of the bowl. We all looked carefully! Some people said, “Ooooooo! 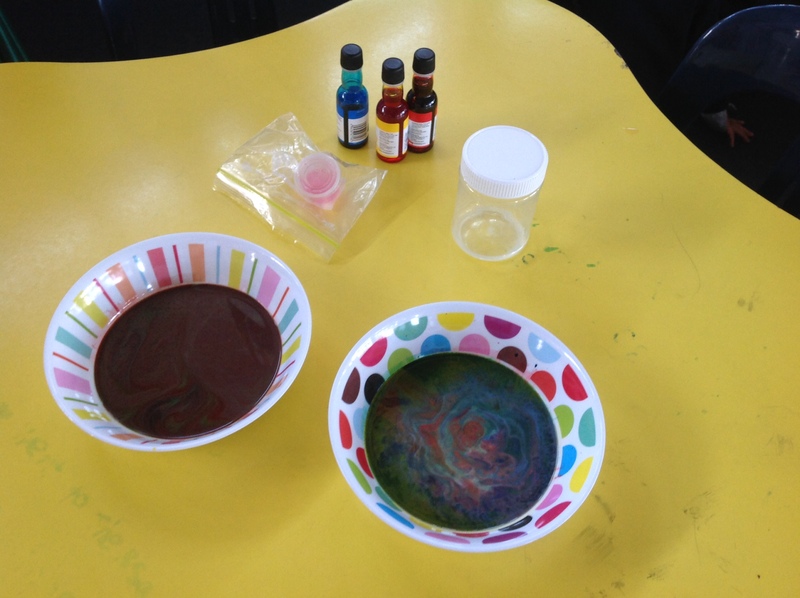 !” We were amazed to see the food colouring moving around in the milk. It rolled and swirled and mixed. In the end it was all one colour. Where have all the colours gone? 3 have become 1! We recalled a lot of the facts about our experiment and what it represented. Then we went back into our classroom and completed our worksheet. 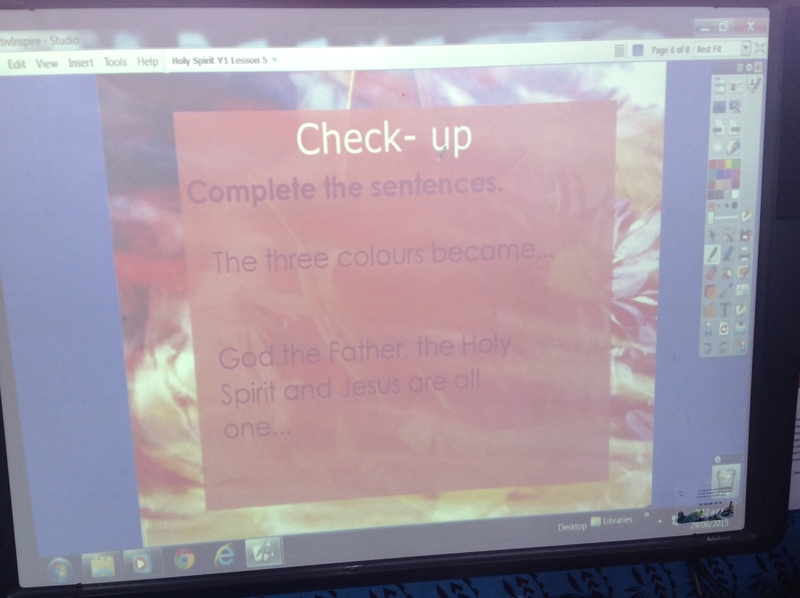 It gives the instructions for the experiment, so we can read it at home and show Mum and Dad all about God being 3 in 1 through this example.